A bizarre craze that has swept America is about to arrive in northern England - Zombie running! 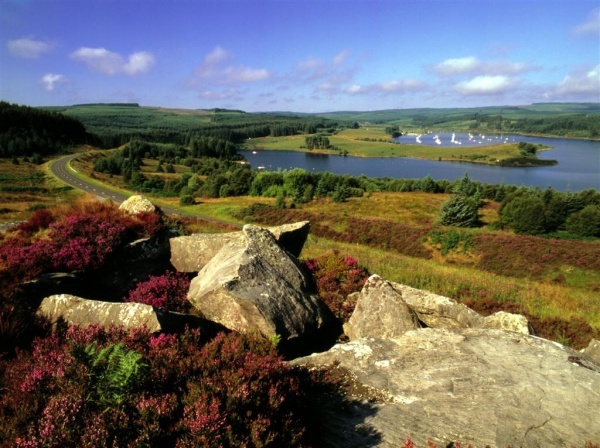 The Forestry Commission is hosting the pulse-quickening pursuit in three local beauty spots, starting in Kielder Forest on 9 February and taking in stunning woodland around Stonehaugh, near Wark, and then in Chopwell Wood, near Gateshead (16 Feb) and Hamsterley Forest, near Bishop Auckland (2 March). The race is the brainchild of Penny Hann from Chopwell and her business partner Lee Mckay, and involves runners negotiating a five kilometre run through the trees chased by a chilling gang of costumed Zombies intent on snatching tags from their belts. The scenario is simple. The world is overrun by the flesh eating undead and you are challenged to reach a safe zone alive and intact. You have three lives in the form of tags attached to your belt and lose these to the Zombie pack and you're out of the game! "We found out about Zombie runs on the internet and thought it would be great fun to try. But the only English event we could find was down in Dorset. So rather than face a long drive we decided to stage one ourselves locally. We have had a great response so far and we've even got corporate groups looking to take part in events. You don't have to run the whole way if you don’t want to and Zombies will be located at various locations to spring a nasty surprise rather than always in hot pursuit. We will also have guides - called the Militia - out and about to ensure folk don’t get lost. It's something weird, amazing and brilliant fun. As a way to get fit being chased by Zombies has no equal!" Runners will need to use their cunning and wits to navigate through the wood as a series of challenging obstacles will confront them - speed alone will not suffice. "I think this classes as the strangest event we have ever hosted in our forests, but it does looks great fun and in the USA hundreds of people compete in races. Getting people out into the forest to enjoy healthy exercise is also one of our goals so we are pleased to support the organisers."